There are nearly 400,000 species of flowering plants on earth. Many of them have small, unnoticeable flowers, while some have large, conspicuous blooms that are cultivated for their ornamental value. They all reproduce by seed, a method that favors adaptation and development. Flowering plants, unlike other seed-bearing plants, are fertilized twice to produce viable seed. The stamen is the collective term for the male reproductive structure of a flower. It consists of the anthers and the filaments that hold them up. The anthers are pollen sacs. Each grain of pollen contains a haploid generative cell, or germ cell, which will develop two sperm cells during the fertilization process. It also contains a tube cell, which will grow into a pollen tube. 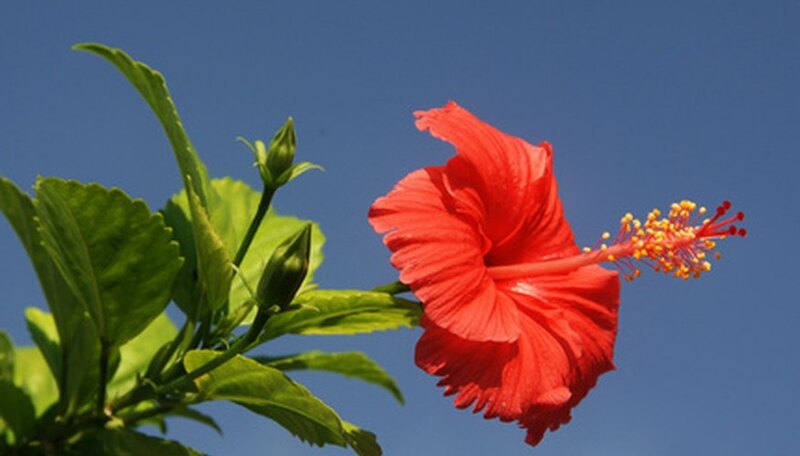 Collectively, the female parts of a flower are called the carpal. The top part of the female reproductive structure is the stigma, where pollen will be deposited. The stigma is supported by a long, thin structure called a style, which leads down to the ovary. Inside the ovary is the ovule, which contains the flower’s female reproductive cells. Some species have more than one ovule in the ovary. Inside the bottom of the ovule lie two synergid cells. The egg cell is located just above them. Two polar nuclei are at the center of the ovule. Three antipodal cells are at the opposite end of the ovule from the egg. Pollination occurs when a grain of pollen from one plant lands on the stigma of another plant. Pollen can be carried from one plant to another by the wind or by insects, birds, or animals. The primary function of the flower petals is to lure pollinators. Often, the shape, color, and scent of flower petals are particularly attractive to a few, or even just one, pollinator. Flowers bloom and display their petals at the season when the preferred pollinator is likely to be present. When the pollen grain has been deposited on the stigma, the pollen tube begins to grow. It extends down the style and around the base of the ovary, to the spot where the synergid cells lie just inside the ovule. At the same time, the haploid generative cell, or germ cell, in the pollen grain changes into two sperm cells, which travel down the pollen tube. When the tip of the pollen tube reaches the base of the ovary, it digests that part of the embryo sack and the synergid cell, and the sperm cells enter the ovule. One joins the egg cell, forming the zygote that will develop into the embryo. The other sperm cell joins the cell nuclei in the middle of the ovum. This forms a triploid cell, which will develop into the endosperm and provide nourishment for the growing embryo. Although most flowers have both male and female parts, self-fertilization is unusual in flowering plants. Several mechanisms exist to prevent it. Cross-fertilization is an advantage, since it allows for further adaptation and development of species. In some plants, the prohibitive mechanisms fail if the flower is not pollinated, and the plant self-fertilizes as a last resort. After fertilization is achieved, the flower petals are no longer needed, so they wither and fall away. The ovule develops into a seed, enclosed in its protective seed coat. In many species, the ovum develops into fruit. Both the seed coat and the fruit protect the seed and aid in seed dispersal.